One BIG Reason To Smile! 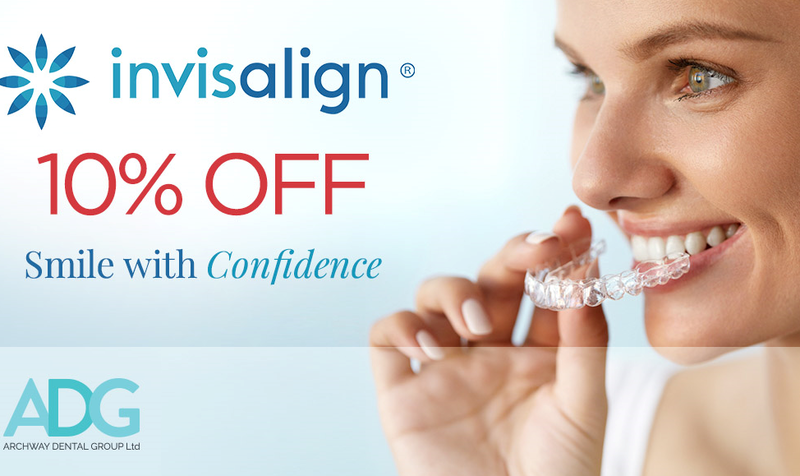 we’ve got 10% off Invisalign throughout January…only our most popular treatment for beautifully straight teeth without traditional braces that will keep you smiling into spring. Forget everything you’ve heard about teeth straightening, no bands, brackets or wires; Invisalign is breakthrough technology, the clear alternative to braces for the smile you’ve always wanted. We always offer a complimentary consultation, this is dentistry for you, tailored, with a focus on always making the correct decisions and prescribing the right treatment for you. Invisalign is revolutionary, it’s comfortable, and because it is nearly invisible, it gives you extra confidence in almost all cases, fitting perfectly into your everyday life. it literally changes people’s lives, it can change your whole look and feel and not only can Invisalign treat a wide array of dental issues such as: crowded teeth, overbite, underbite, spacing and crooked teeth, it is also removable and easy to care for and clean. Average treatment times are usually 6 months to 1 year, and we ask that you see us regularly to monitor and assess changes and progress. Of course every case is different, but you can expect to see great improvement in a short space of time. If you think Invisalign is right for you, request a consultation with Dr Boland today, it is complimentary of course. If you have any questions or concerns about Invisalign, please get in touch, we know this is the first step to your confident new smile. Request an appointment here.